This note is a critical discussion of Francesca Piazza's excellent paper. More precisely, under discussion is the virtual identification between what is legal and what is just. 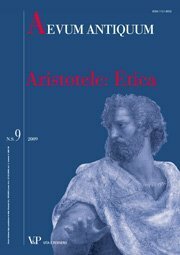 For it is correct that the legal notion of justice is compatible with Aristotle's emphasis on epieikeia, but it is controversial that the same applies to cases in which an absolute (ie divine, natural) notion of justice is at stake, as the analysis of Sophocles' fr. 703 shows. A comparison between Plato and Creon in Sophocles' Antigones shows a further difficulty: when it is not clear who is legitimated to subordinate law and justice to epieikeia, it is perhaps better to conform to law (nomos).